Get on the fast track to success with training courses that inspire your innovation journey with Okta and prepare you for certification. Receive hands-on, group learning from Okta Certified instructors. 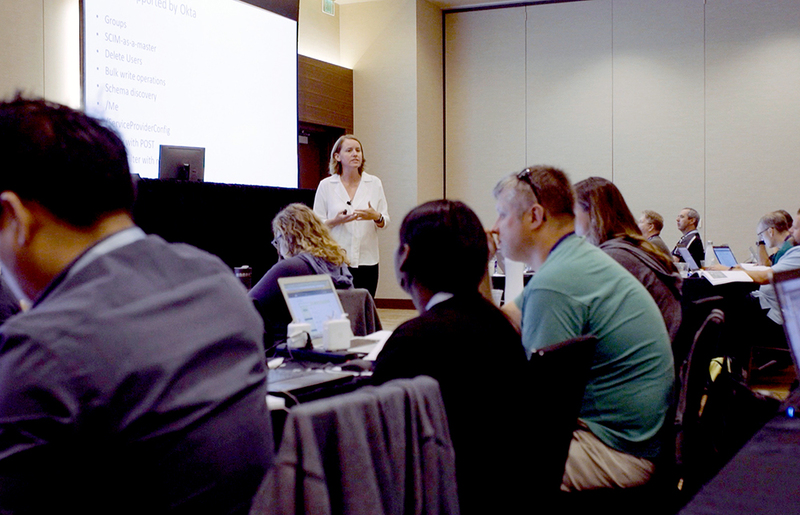 Whether delivered virtually or in person, these highly interactive courses are a great way to accelerate your Okta skills through discussion and access to hands-on environments. Learn at your own pace with our library of recorded training. Courses include multimedia presentations, application demonstrations, and knowledge checks. Start your journey with Okta Basics and keep skills current when new features are released. Have a large group of people to train or want to explore specialized use cases? Let us tailor a learning experience for your organization's’ specific needs. Private class delivery is dedicated to your team and can be conducted at your location or online in a private virtual classroom. Validate your knowledge, skills, and experience through examination. 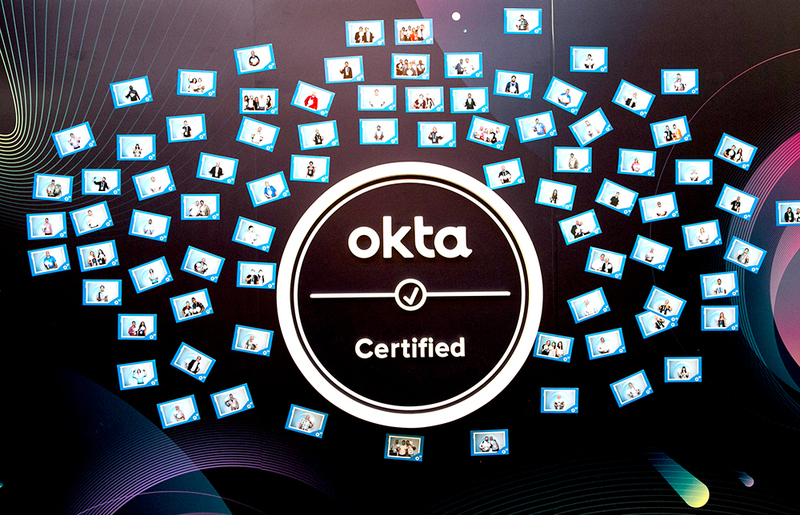 Okta certifications demonstrate commitment to success and provide benefits for the individual and company alike. It is now easier than ever to buy Okta training and certification. Training Units provide flexibility so that you can buy training units now and spend them throughout the year. Reserved for customers with Premier, Premier Access, and Premier Plus Success packages. This discount is valid for Public Hands-On Training only, and will be automatically applied on the quote. Reserved for non-profit customers (any 501(c)3 organization). This discount is valid for Public Hands-On Training only, and will be automatically applied on the quote. Okta Essentials is the foundational course that's a must for System Administrators and anyone responsible for setting up Okta to help ensure implementation success. In this course, you will learn how to integrate custom B2B apps with Okta's Identity Management / Security APIs using best practices and established workflows. Learn how to use Okta to create a Zero Trust environment in a landscape where people are the new perimeter. 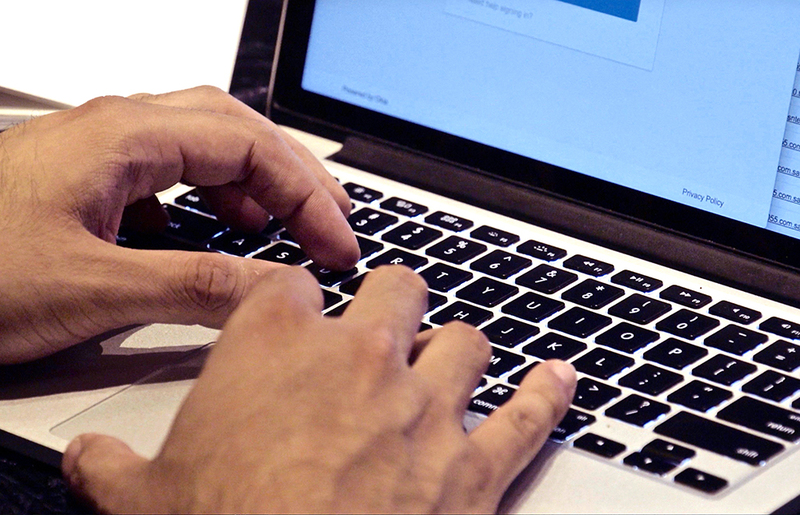 This hands-on course is full of tips for expanding your security footprint with Okta. Setting up federation with an existing identity service can take a tremendous amount of time and energy, especially at scale. Migrating your identity layer to the cloud is easy with Okta. But what if your users need to retain access to legacy, on-premises applications? You successfully use Okta today to securely manage employee identity and access to internal applications using SAML. Do you want to use Okta in complex mastering scenarios, such as involving multiple user domains or consolidating identities across multiple systems, including custom apps or HR as Master? Looking to integrate automated user provisioning into your applications? Okta centralizes the setup and management of the identity lifecycle for Microsoft Office 365 (O365). Did you miss any or all of the Oktane17 Hands-on Labs with our Okta Certified instructors? To accommodate our global customer base, we have scheduled virtual live classes in EMEA, APAC, and North American friendly time zones. The complete Instructor-led training schedule is published on the Hands-On Training page. To view the full schedule select Learn More and Register from there! We offer a variety of self-service (on-demand) courses and curriculums. To view these options, click here and change the Learning Method filter to On-demand. You can view any of the self-paced classes clicking on the Register button and completing your registration. Seats in our Hands-On Instructor-led Labs are first come first serve, and enrollment will be confirmed once billing and registrant information is received in full. To purchase a seat simply select the Register button, add the class to your Shopping Cart and Place Your Order. We’ll get working on your Training request and will be in touch within one business day. Okta customers can access Okta Basics Curriculum for free, but Hands-on Instructor-led courses cost money. Once you have identified which course you are interested in, select the Learn More button to view the cost for each course you are interested in. We are delighted to offer discounted pricing for Non-profit 501(c)3, Premier, Premier Access, and Premier Plus Success customers on some courses. Please read our Training Terms to be familiar with our registration change and cancellation terms and penalties. Accessing the Okta Virtual Classroom is easy! Once registered, you’ll receive a confirmation email from us with a calendar invite. You will also receive and email reminder 24 hours, 1 hour, and 30-15 minutes before the class starts. Each of these emails will include instructions on how to launch the class. 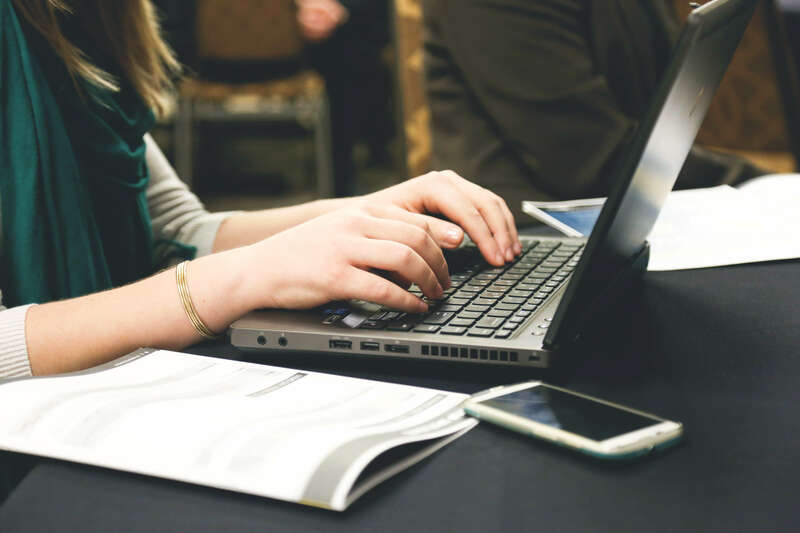 You can also launch your class from the Transcript page of your Okta Learning Portal’s Learning.Check out these tips for Virtual Classroom Success to ensure your training experience is awesome. All virtual classes are highly interactive. The include a variety of lectures, application demonstrations, and question-and-answer sessions with a live instructor. Premium courses include access to an online lab environment where you will complete hands-on learning activities. Okta training fees for Hands-on Training are non-refundable. Registrations for Hands-on Training may be rescheduled or canceled without penalty up to five business days prior to the class start-date. If you fail to show up for a class you registered for, you forfeit your registration fee. Sorry, but we can’t apply forfeited or no-show fees to future classes. Please read our Training Terms to learn more about our cancellation and change policy. How can I cancel or change my registration? Email [email protected], and include your full name, course name, date, and your request to cancel or reschedule. In accordance with our Training Terms changes must be made at least five business days prior to the start of the training class in order to avoid the penalty of forfeiting your training seat.